If it were not for our mothers, we would not be here. 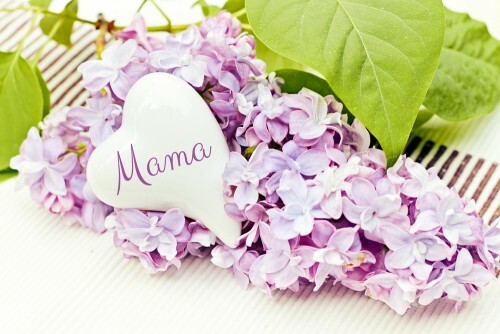 Even if your mother has passed on, it is important to recognize all of the differences she made in your life and the lives of the people around her. On her birthday, these happy birthday mom in heaven messages can help you pay tribute to her memory. You can post these online or write them in a memorial card to put on her grave site. With these messages, you can show just how much your mom still means to you. 1. Happy birthday! Although I know that you are in heaven now, I still can’t help missing you. I miss the endless joy you brought into the world and the warm feelings you brought to my heart. Wherever you are right now, I wish you a happy birthday and I want you to know that I love you so much. 2. Dearest mother, even though you cannot be with us now, I still want to thank you. I am so grateful for all of your unconditional love. You always made sure to do the little things in life to make everyone around you happy. Your life has been an inspiration for me to be positive, love unconditionally and show kindness to others. On this special birthday, I wish you all of the joy and cheer possible in heaven. 3. 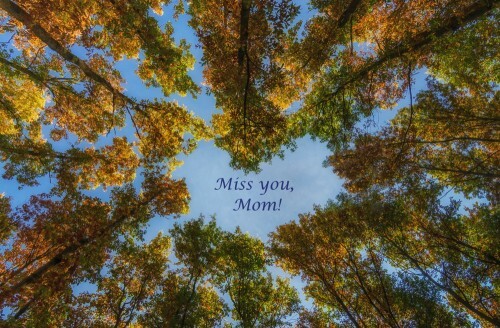 Dear mom, I miss you so terribly much. It seems impossible for me to celebrate your birthday without you. I keep thinking of your smile and laughter. I wish that I had the chance to make you smile one more time. While I cannot be with you anymore, I wish that you have a happy day today, wherever you are. Happy birthday! 4. Mother, I just wanted you to know that I still think about you every day. The only thing that makes me feel better is the knowledge that you are already among friends and family in heaven. You might not be able to celebrate this special day with me, but I know that you are somewhere looking down on me. I miss you and look forward to the day when I can be with you again. Some day, we will be able to celebrate your birthday together in heaven. 5. 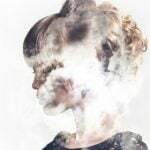 Dear mom, the day you left this world was the saddest day of my life. The only thing that brings me comfort now is knowing that you are happy. You are free from all of the struggles, pain and troubles that life brings. I miss you more than words can possibly convey. I just wish that I could hug and kiss you on your special day. Happy birthday in heaven, Mom! 6. I have read so many birthday cards for moms, and the words keep bringing tears to my eyes. All of these people can buy a card for a mother who is still here and celebrate with them. I am so jealous that other people get to have their mothers with them still. Even though you are no longer here, I still think about you every day, Mom. Happy birthday, wherever you are. 7. Here’s to an amazing birthday for the world’s best, sweetest mom. I am so grateful that I have had you as my mom. You have always believed in me and supported me in going after all of my dreams. The only regret I have is that you cannot still be here. I miss you so much, but I know that you are in a better place now. Happy birthday, Mom! 8. In life, you were my closest confidante and dearest friend. Now that you are in heaven, I still think of you as my best friend. Thank you for listening to me whenever I feel lonely or down. Just the thought of you and your loving guidance makes all of the difference. On your birthday, I miss you even more. 9. Mom is the most amazing word in the English language. It is the loveliest word that I have ever known because it represents the most amazing person n the world. You are the best, most amazing and dearest person that I have ever known. Even though you cannot be here on your birthday, you are truly missed by everyone who knew you. Have a wonderful birthday, Mom! 10. Have a happy birthday, Mommy! I hope that today is a special day for you. While I cannot celebrate your birthday with you this year, know that you are loved by all of us. We still think about you and miss you every day. 11. Dear Mother, you have enriched my life just by being in it. Your guidance, care, love and support have made my life possible. I know that I would not be where I am today if it were not for you. On this special day, you are truly, deeply missed by everyone who knew you. While I think about you every day, my thoughts are especially with you on your special day. Have a wonderful birthday, Mom! 12. As we go to visit your resting place today, we all feel great sadness. The sense of loss never goes away. Since you left us, it is like a hole has been left in our lives where infinite love and compassion once resided. Life has never been the same for all of us. 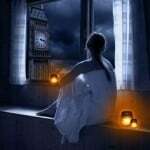 The only comfort we have is the knowledge that we will one day be together again. Happy birthday in heaven, Mom! 13. Mom, you are such an intricate part of your heart. I am reminded of you throughout the day because so many of my actions, thoughts and behaviors were learned from you. Rest easy now, my treasured, dearest mother. Our time on earth may have been cut short, but I still miss you more and more each day. Until we meet again, have a wonderful birthday in heaven! 14. Today, we celebrate another year of your life together. Even though you cannot celebrate this birthday with us, know that we miss you terribly. We are all thinking of you today and all of the amazing memories that we had together. Happy birthday, Mom! 15. I admire my mom for so many things. She was a graceful, strong, selfless and loving woman. I really think that there is no one in the world who could live up to the example she set. On her birthday, I just wanted to say how much I miss her and how much she is still on my mind each day. 16. 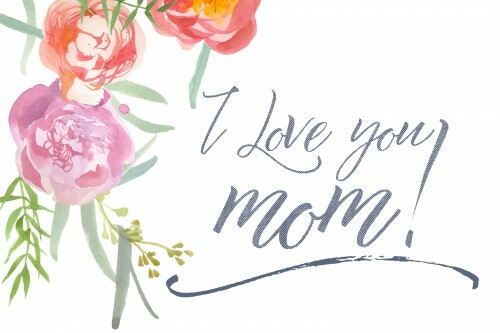 Dear mom, today is your special day! I wanted to thank you for the many things that you have done for all of us. We are so lucky and grateful that you were our mother. Now, we just hope that the angels around you are celebrating and rejoicing on your special day. Happy birthday! 17. Here’s to the best birthday, Mom. You are the first person that I thought of when I woke up today. I miss you so much everyday, but especially on your birthday. You were the best mom that anyone could have and I will love you to infinity and beyond. 18. Dear Mom, on your birthday, we just wanted you to know how much we appreciate you. You made such a difference in all of our lives, and we miss you terribly. Happy birthday in heaven! 19. I love you so much. As I remember all of the memories of birthdays that have happened before, I look up to heaven and hope that you are smiling down on us. Happy birthday! 20. Today is filled with all of the happiness and joy of the many birthdays we have celebrated on earth with you. As you watch us from heaven, I hope that you have an amazing birthday today. We love you, Mom! 21. Even though you cannot be here, I wish you a very happy birthday, Mom. 22. Here’s to an amazing birthday to the sweetest mom who ever lived. Not a day goes by that I don’t think of you. My life has felt empty since you passed, and I cannot wait until the day that I can see you again. Happy birthday, Mom. 23. As I look up at the stars in heaven today, I think of you looking down on me. All I can send you as a present today is all of my love and kisses. You are truly missed. Have a happy birthday, Mom! 24. To my loving mother in heaven, lots of love on your birthday from everyone here on earth. 25. Mother, you might be gone, but the love of a mother and a daughter lasts forever. Have the best birthday ever in heaven! 26. Heaven holds my mother close on her special day. Lord, please give my mother good cheer and beautiful flowers on her birthday. Let her know that I love her from now until eternity. 27. As we gather at your tomb today, we just wanted you to know how much we miss you. Happy birthday, Mom. 28. You were fashioned by God’s loving hands and were his angel on earth. Now, you are one of the angels in heaven. We miss you terribly. Have a good birthday—we are all thinking about you. 29. Dear Mom, here’s to an amazing birthday in heaven. May your celebrations in heaven be as bright and as amazing as you are. 30. On earth, you were a secret angel that loved, guided and protected us always. It only makes sense that God would want to keep you with all of his angels in heaven. While we cannot be with you now, we know that we will one day see you again. Until then, have a happy birthday and wait for us.